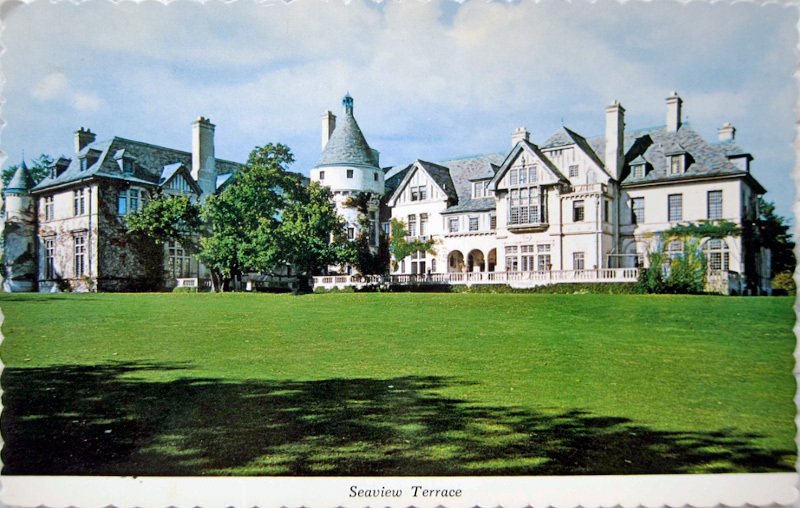 Here are some fantastic rare vintage images of Seaview Terrace, the Rhode Island mansion used for the exterior of Collinwood in Dark Shadows. Reader Bill Branch shares these beautiful postcards, showing the property at various points during its history. 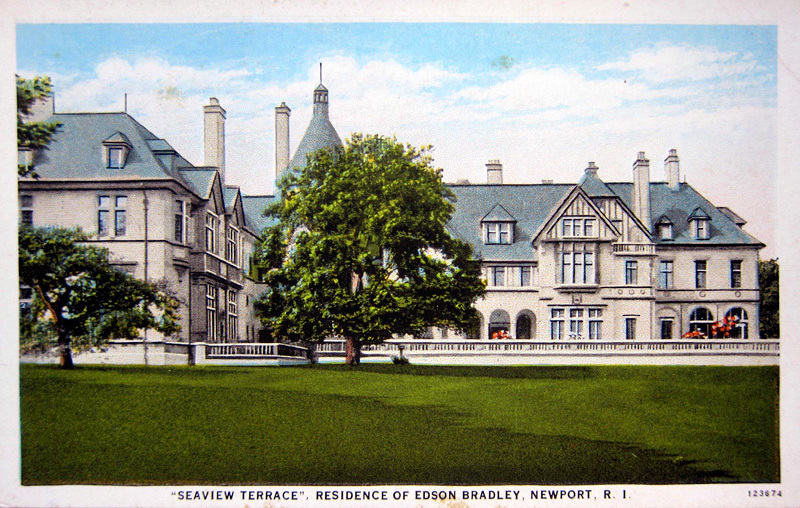 The first picture shows the house shortly after its construction, when it was known as the Edson Bradley Estate; The third shows the house during its time as a school for girls, Burnham-by-the-Sea, during the 1960s; The fourth was taken in the mid-1960s, around the time filming took place on Dark Shadows. To see more rare photographs of the house, click here. Click on the thumbnails for a larger view. Courtesy of the Bill Branch collection. These are great! I love that house! 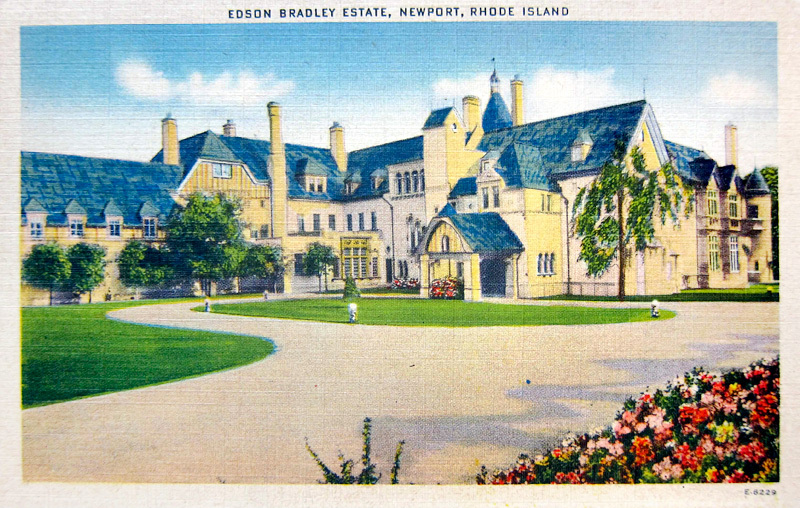 Beautiful and brilliant post-cards on the DARK SHADOWS-The Collins Family Mansion. I thought this amazing gigantic house was also known as Lynhurst Mansion. Oh, well..'that name is familiar to me though. It's also a Dark Shadows Estate, I think. It would be nice if one could stay a weekend in the Collins Mansion Estate..'I don't think I last a night. Scary!!!! smile. These are the origional Mansion homes of DARK SHADOWS..'I sometime get the Lyndhurst Castle Mansion (which was used in the early DS's movies). 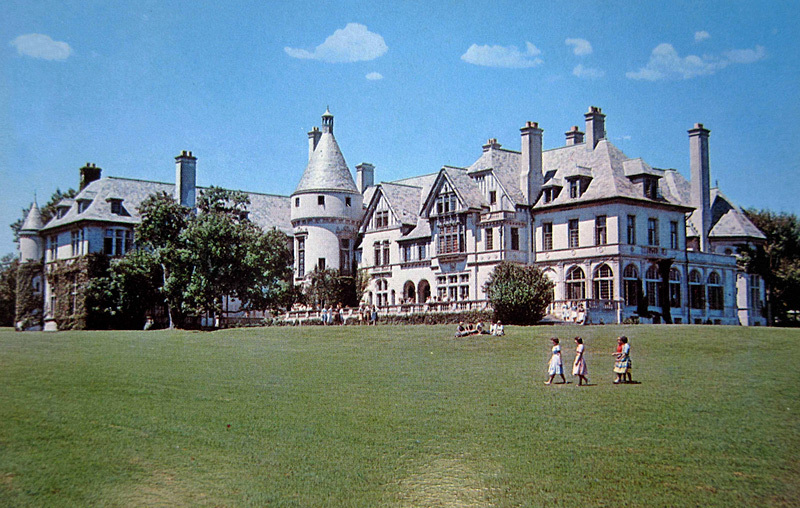 I like all the legendary Mansion COLLINS Homes from DARK SHADOWS. My favorite one is the one they opened their chilly-ghostly debut with. DS's Actress Nancy BARRETT did a special feature on the Collin's Mansion(s) and said the one w/the Greek Pillars/The Old House "Barnabas Collins" Home...'well that was burnt down. What a shame, that one is a beauty also!! Your guide to the classic soap opera and its movie remake from Johnny Depp and Tim Burton. Win Dark Shadows Movie Blu-Rays! © Stuart Manning. Please do not reproduce content without permission. Awesome Inc. theme. Powered by Blogger.